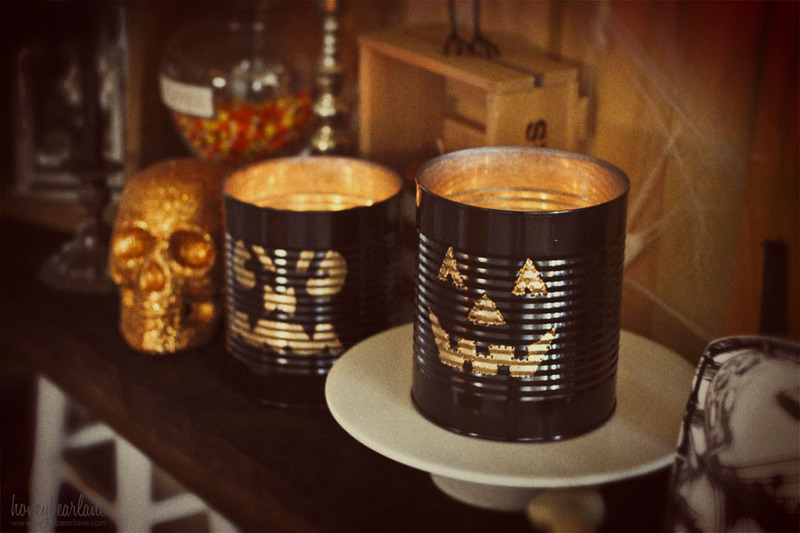 Halloween is right around the corner, each day getting a little bit spookier. 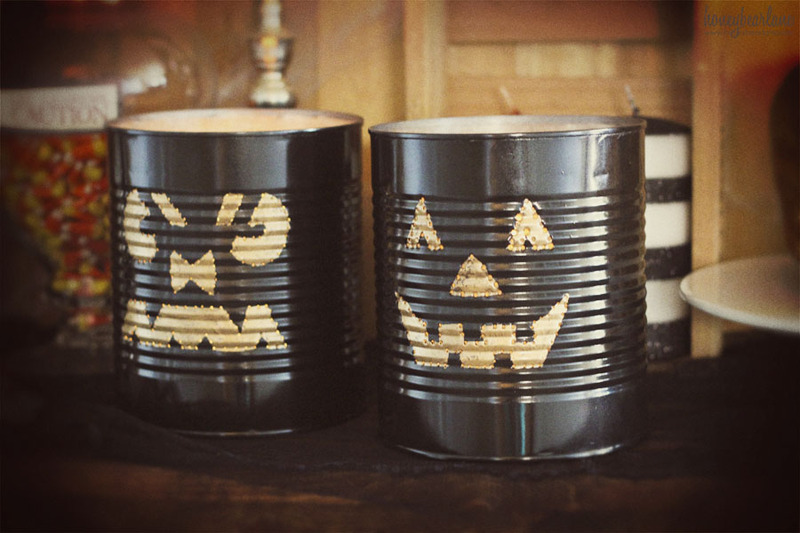 One of my favorite parts about Halloween are the Jack-o-Lanterns, all lit up. 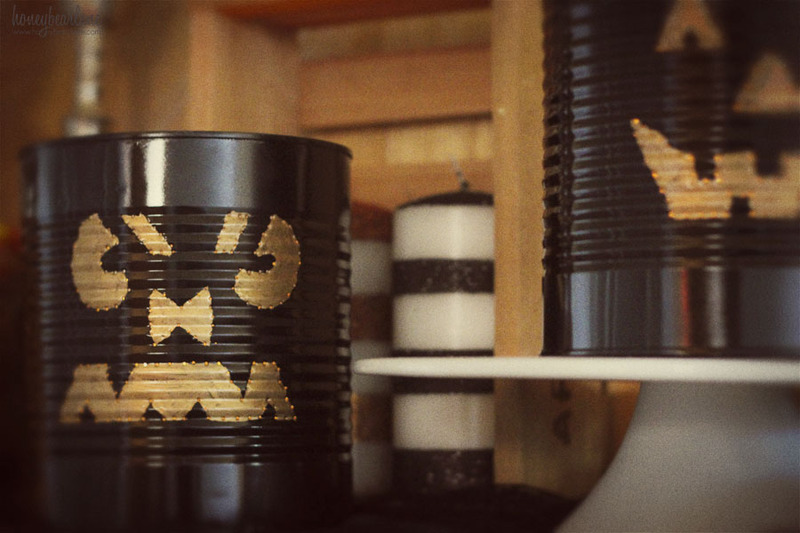 I love anything luminescent really, so I thought I would try making some tin can luminaries. I know the thought of puncturing a hole into metal can be scary but don’t be intimidated, these were actually very easy! Spooky right? And so many possibilities! 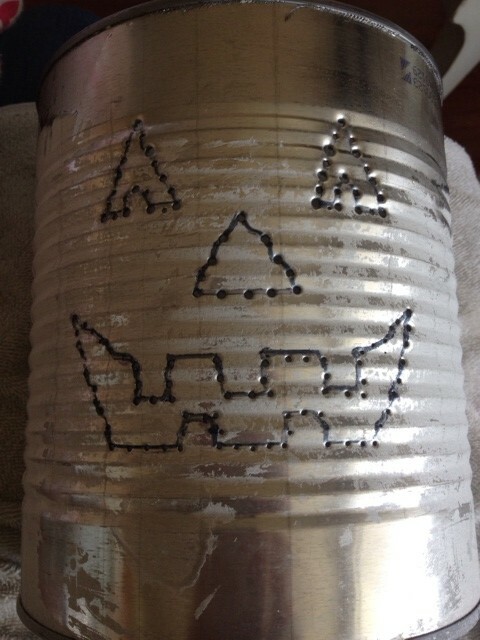 I definitely see more tin can luminaries in the future. 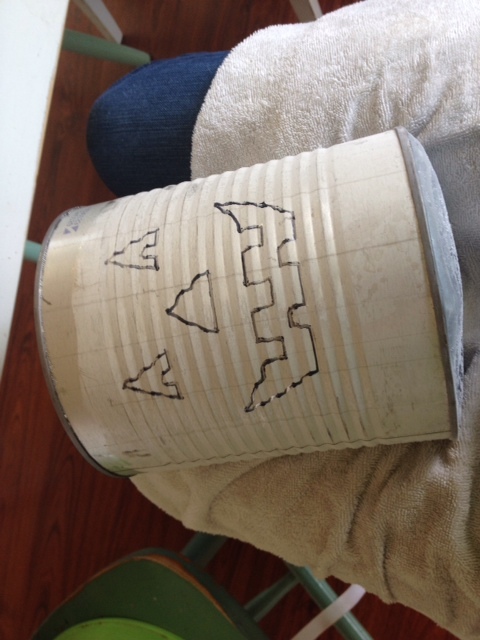 Step 1: Clean up your can. Peel off the label and wash it out well. Then fill it almost to the top with water. Freeze it overnight. 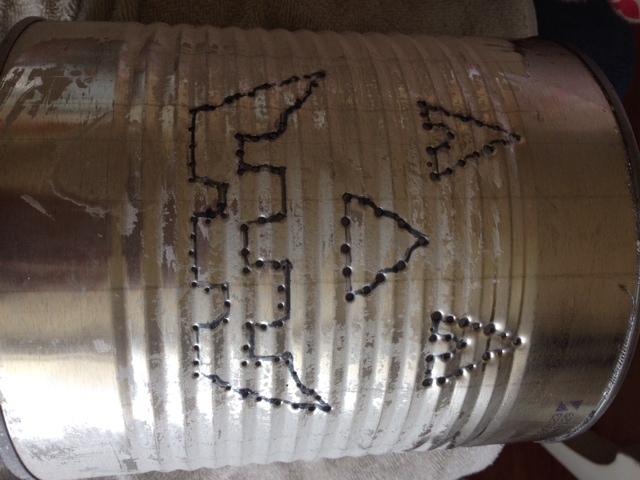 The ice that forms will make hammering holes in the can VERY easy. 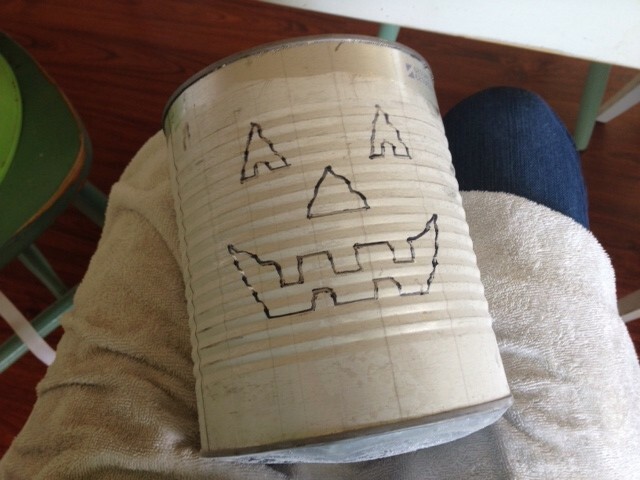 Step 2: Draw your Jack-o-Lantern face on the can with a Sharpie. Then use the awl and rubber mallet to pound small holes along the lines of your design. It goes through very easily. Don’t pound too hard or the holes will get too big. I found that only a couple quick taps were all I needed. Step 3: Flush out the ice with hot water, dry. 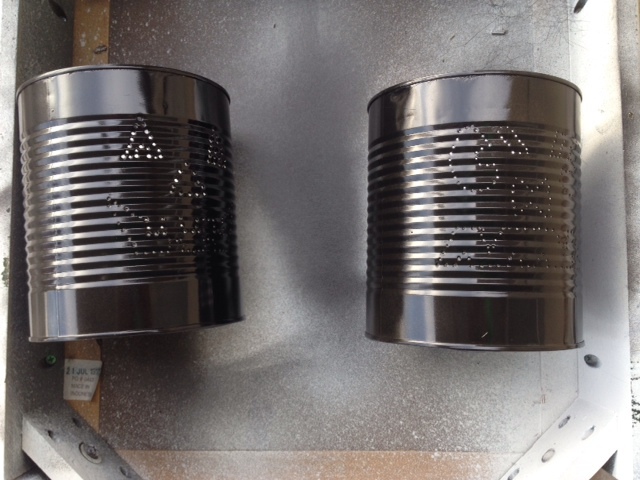 Then spray paint the outside of the can with your black spray paint. Step 4: Carefully paint the inside of the eyes, nose, and mouth with the gold paint, making clean lines along where the holes are. 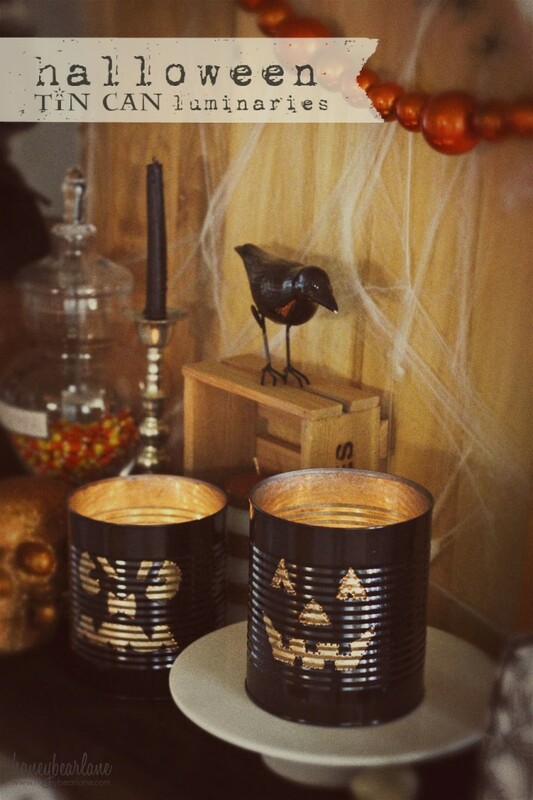 Step 5: Light your votive candles and turn off the lights! This post originally appeared on Skip to My Lou.